Line a 9″ X 13″ baking dish with parchment paper leaving 2 inches extra on the sides for lifting. Stir graham cracker crumbs into melted butter. Pat in the bottom of prepared pan. 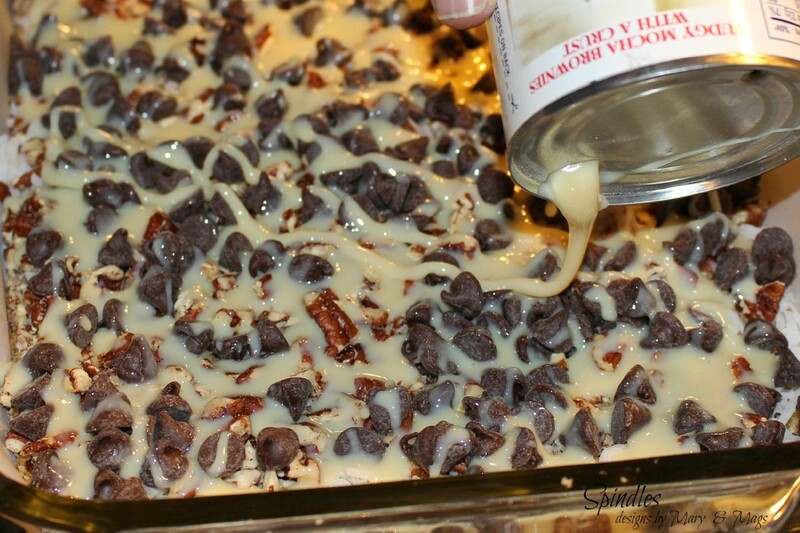 Sprinkle with coconut, chocolate chips and pecans. 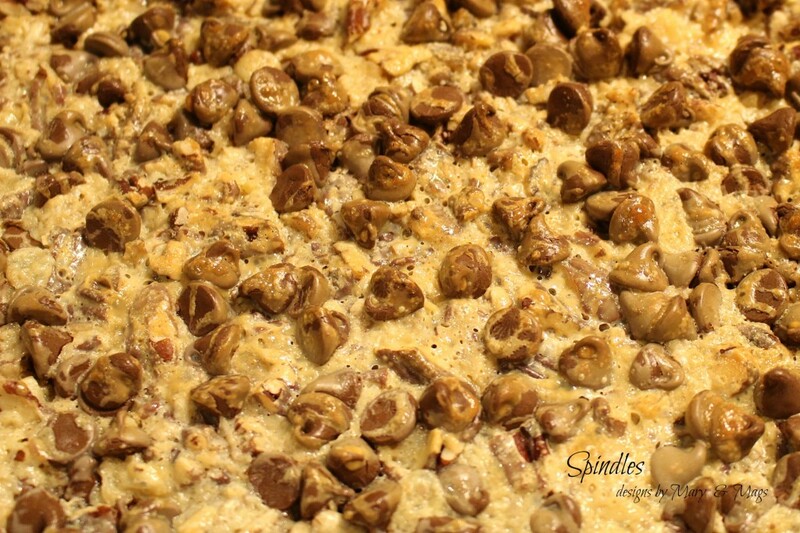 Evenly pour sweetened condensed milk over the top. Cool completely in the pan. Remove from pan using parchment paper. You may have to run a knife along the ends of the pan before removing. Cut into 1 1/2″ – 2″ squares. This recipe can be made Gluten-Free using our recipe for Gluten-Free Graham Crackers to make your crumb. Be really careful not to eat too many! I make these often. They are one of our favorites. 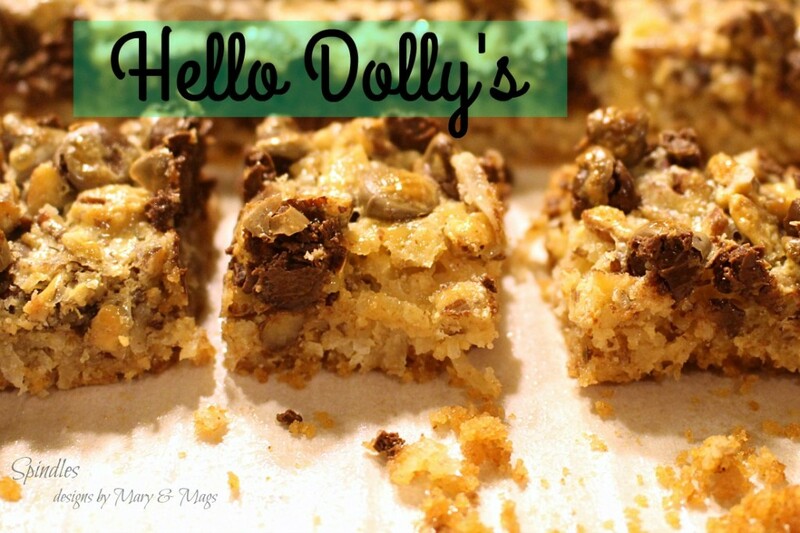 Although we call them magic cookie bars, the name Hello Dolly is cute! Thanks for sharing with SYC. Isn’t it fun that things we make and love have so many different names. I like the name Magic Cookie Bars as well. They are magic in your mouth. Thank for stopping by to comment.